shedkm have been shortlisted in the Architect of the Year category of the 2018 Offsite Awards in recognition of our work on the House family of prefabricated housing products for Urban Splash. 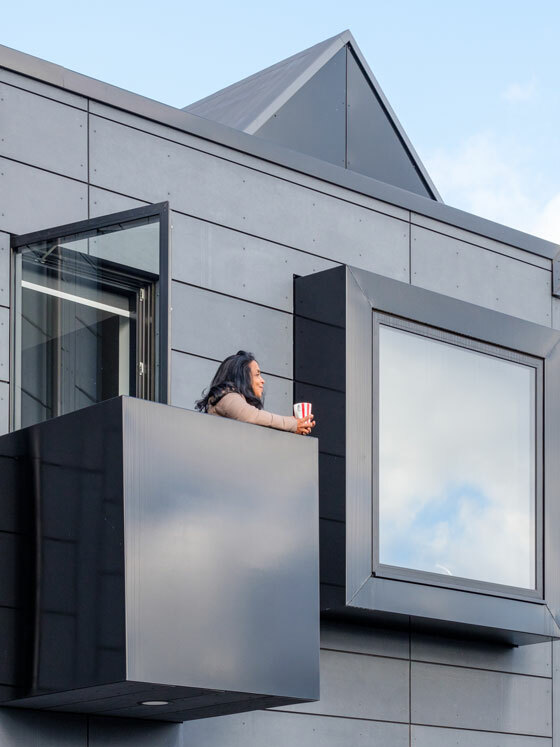 Our factory-built, customer-designed modular Town Houses have now been handed over to customers in Manchetser, Salford and North Shields, with more homes leaving the assembly line every week. Deliveries to our largest site to date in Birmingham will start later this year. New layouts and options and technological enhancements are being developed through the continuous improvement process. Meanwhile, the House family continues to grow. The first Mansion House apartments will start on site in Manchester this summer and we are currently developing new house types and preparing designs for new House communities across the country. Our clients Urban Splash have also been shortlisted in the Offsite Pioneer on the Year category. Winners will be announced at Ecobuild in March.